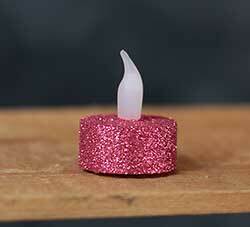 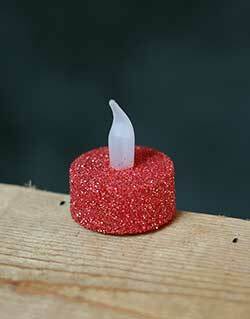 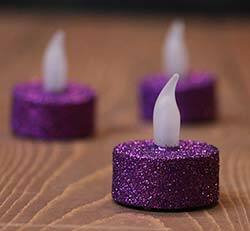 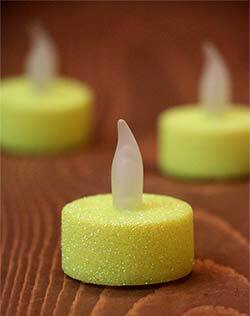 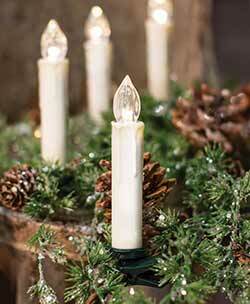 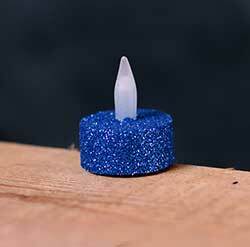 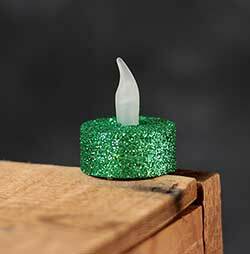 LED Candles for your party decorating needs! 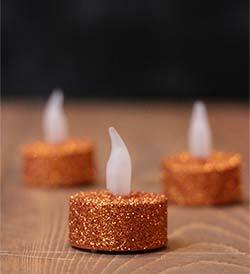 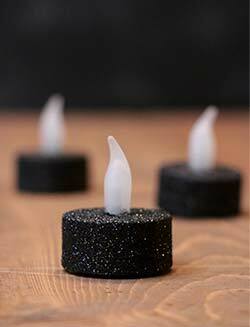 We have a unique variety of hand-glittered battery tea light candles in black, orange, gold, silver, aqua, neon colors, every color you can think of for your wedding, bridal showers, nursery decorations, halloween parties, Christmas decorating, and tons more! 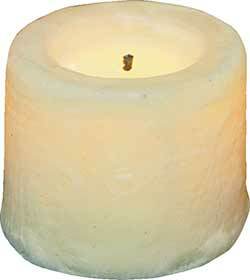 We also have grubby, grunged, colored, and spiced candles for your more country and primitive looks. 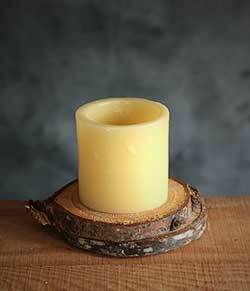 For a clean look that will go with anything, we have simple white too. 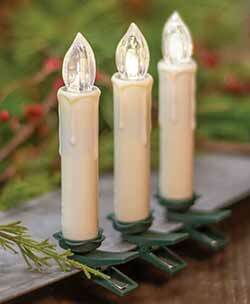 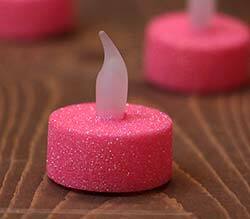 All tea light candles have replaceable batteries so you can use them again and again.